The B-25 Mitchell was one of the major medium bomber of WW2, and fought with three major users, the Americans, the Soviets and the British. But other countries received the Mitchell during the war, and among them, Australia was one of the smallest, having taken on charge 50 aircraft, most coming from Dutch stocks. They were used by a single unit, No.2 Squadron, during the last year of the war in the Pacific. 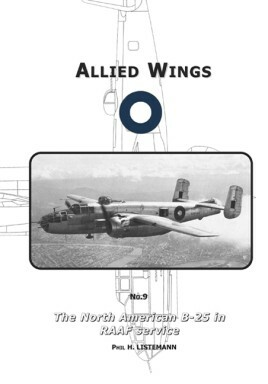 With over 30 photos, some seen for the first time, 5 color profiles, most with wonderful nose arts, the full story of the B-25 in Australian service is narrated, which includes the full operational records. A very good reference for modelers and historians.